American Wholesale Property: Off Market in Tobin Hill! Off Market in Tobin Hill! Tobin Hill! 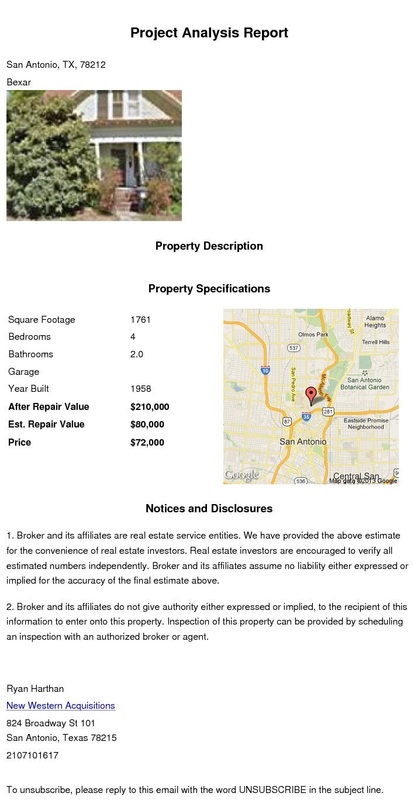 Here's another off market gem in the hottest part of San Antonio! Set a few hundred feet from Methodist Hospital (where a new wing and 9000 new jobs will be added next year), a few blocks from the Pearl Brewery, downtown, and much more you have a winning investment right out of the gate! There are endless options for all investment strategies here so hurry as this won't last!